For nearly 40 years, Robert Yates worked in the field that he loved, stock car racing. Steadily excelling in the field and progressively building a legendary career that made him part of NASCAR history and became a part of the rich motorsports heritage that we know today. Yates has been one of the circuit’s premier engine builders since 1960s, working with NASCAR Hall of Famer Junior Johnson and providing the power under the hood for Hall of Famers Bobby Allison, Cale Yarborough and Darrell Waltrip, later leading Allison to a series championship in 1983 with DiGard Racing. Yates and his first driver Davey Allison teamed up with great success. The team contended for the championship ending up a close third in a year when the championship was decided in the closing laps of the final race. The following year, Allison was killed in a helicopter crash at Talladega Superspeedway – the first of some of the hardest times for Yates and his organization. Toward the end of the 1993 season, Up-and-coming driver Ernie Irvan was tapped to become Allison’s full-time replacement. The combination of Yates and Irvan proved to be a competitive one as the No. 28 Yates-owned team battled back and forth through the first half of the year with the late Dale Earnhardt for the 1994 championship. A fateful crash at Michigan, however, ended Irvan’s quest for the title and once again left Yates searching for a replacement. That replacement would end up being the son of a NASCAR legend who hailed from the small town of Hickory, N.C.
Dale Jarrett and Yates teamed up for the first time in 1995. After a fairly successful first season together, Yates decided he wanted to hold on to the talent of Jarrett and decided to expand his organization into a two-car operation. Jarrett began piloting the No. 88 car in 1996 and quickly proved to the racing world that Yates instincts were validated by winning both the Busch Clash and the Daytona 500. Yates was able to capture his first Winston Cup Championship with Jarrett behind the wheel in 1999. The start of the 2000 season began with Yates fielding cars for two of NASCAR’s most talented veterans in Jarrett and Ricky Rudd. From 2000 to 2002, Jarrett and Rudd combined for 11 NASCAR wins, 71 top fives and 114 top 10s. The teammates in the top 10 in driver point standings all three seasons – solidifying RYR’s spot among the most successful teams in NASCAR history. In 2003, Yates hired the talent of a young driver by the name of Elliott Sadler. He was teamed with Jarrett in the hopes he would be able to take advantage of Jarrett’s expertise as a mindful veteran. Sadler started 2004 with a top-10 finish in the Daytona 500, and six races later won at Texas Motor Speedway. He stayed in the top-10 in points all season, and won at California Speedway. He made the Chase, and finished a career high ninth in the championship standings. In 2005, Sadler clinched four poles. He finished 13th in points. In 2006, won the pole position at Talladega. In August 2006, David Gilliland replaced Sadler as the driver of the M&M’s Ford. On October 7th, he qualified on the pole for at Talladega, the first pole of his career. In 2007, Rudd returned to Yates’ team to drive the No. 88 Ford full-time. On February 11th, 2007, at Daytona International Speedway, both of Yates’ cars qualified on the front row for the Daytona 500. Gilliland qualified on the pole with Rudd was alongside in second. Since RYR’s inception in 1988, Yates’ two-car team proved to be one of the most invincible opponents in the NASCAR garage. As a team owner, you want to win therefore you work hard. On September 7th, 2007, Yates announced his retirement as President of Robert Yates Racing following the last race of the 2007 NASCAR Nextel Cup season. A new business opportunity brought Yates out of retirement and back to NASCAR. Starting up Robert Yates Racing Engines, LLC. The company was named the exclusive North American provider of the NASCAR-Approved Spec Engine in 2010. Currently, the NASCAR-Approved Spec Engine is an alternative in the NASCAR K&N Pro Series, NASCAR Canadian Tire Series, NASCAR Whelen Modified Tour, NASCAR Whelen Southern Modified Tour and select tracks in the NASCAR Camping World Truck Series. Robert Yates Racing Engines offers the NASCAR-Approved spec engines for purchase either as a kit or as a fully assembled engine. Robert also provides dyno operations and a complete complement of replacement parts; as well as engine maintenance services out of the Mooresville, NC facility. 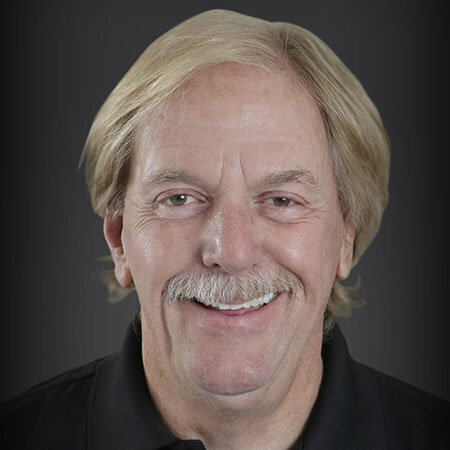 To learn more about Robert Yates Racing Engines please go to http://www.ryr.com/ .